My Fit-bit Friends are Making Me Sick! I am getting stronger and stronger however my patience is a little on the downside right now when it comes to my fit-bit friends and all of these challenges. If you are into fitness and want to have others join you, Fit-bit is a great way to do this. The Fit-bit exercise family has fitness products that help you stay motivated and improve your health by tracking your activity, exercise, food, weight and sleep. Before my injury, I had just bought my Fit-bit bracelet and was calling out all of my friends to get on Fit-bit and take part in some fitness challenges. What great times we shared with everyone working on being fit and having some fun along the way with all of the smack talking and tongue wagging. My friends knew that I was going to bring with both the walking and working out activity as well as talking a-lot of noise. I love challenges and love to win however as much as I hated to lose a challenge, I still made sure to push my friends to get their steps in and give me a little smack talk along the way. 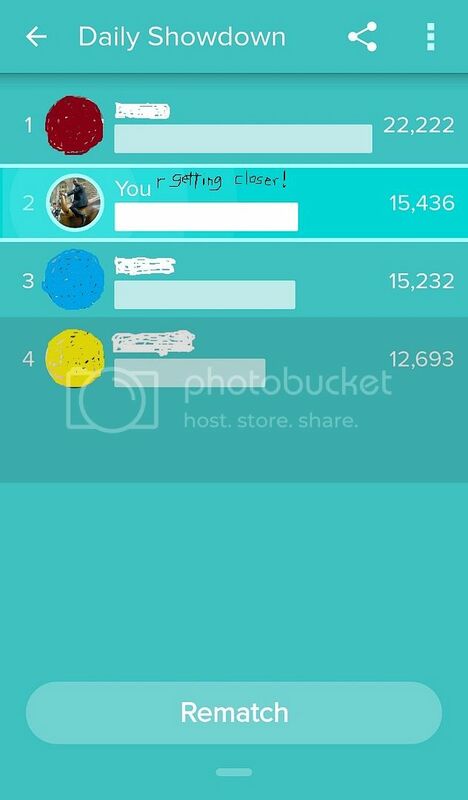 During my injury, I still participated in the challenges however it was not that much fun watching the leader board and seeing my name at the bottom of the charts. I still talked a good game but my walking of course was just not up to par. Boy did I get hit from everyone challenging me to keep up and teasing me about being at the bottom.,lol. Let’s fast forward to today and now their smack talking is slowing down more and more as they all see that my steps are increasing daily. Just this week, I pushed a few people to achieve their highest rank of activity for their walking steps and they was gracious enough to say thank you and glad to see me getting healthy. I tell ya, when I notice that I’m a few hundred steps from being at the top of the leader board, my mind is saying let’s go to the track and run a few laps however can also hear my doctor saying that I still have a month or so to go before I can start running. I will not jeopardize or run the risk of a re-rupture because it has been a long road to recovery and I am thankful to be where I am today. There are a few more hills to climb, a few more therapy sessions and ice buckets to endure before we are fully recovered but until then, we will continue challenging others to push themselves to higher heights as well as develop their mental toughness with all of the smack talking on the challenges. Keep Stepping Into Your Greatness! P.S. Click HERE to check out the Fit-Bit Movement! We did a nice podcast show on these Achilles Tendon Rupture Injuries. The show is pretty long however I received so much value and information from some of the guests. An Orthopedic Dr. came on and shared the nugget of the day and I took action and I can feel the difference. Grab a cup of your favorite beverage and enjoy the show! P.S. Here is a resource for your achilles tendon recovery. Hello my friends, I must say that I really miss running so much! I miss jogging on the track, sprinting gassers on the football field and running through the neighborhood and being able to get that heart beating fast and sweat all over my head and shirt. Running has been such a big part of my life and I know from the bottom of my heart that running is directly tied to my core of who I am and by not being able to run, it’s starting to play a huge part in what’s happening with me right now. I can see now why this injury is a tough injury to deal with not only physically but mentally. I must say that I my leg is getting stronger and pain free everyday and I am extremely grateful for this feeling. In my therapy everyday, I still get my workout in with weights, sit-ups, push-ups, etc… however I do miss running so much! I miss it and no matter how well my leg is feeling I have to keep in mind not to rush and risk things because I would hate to go back to square one with a re-rupture. I remember just a few months ago when I first got injured and so soon after the surgery, I was coming up with so many ideas and plans that I wanted to get done all while I was laying up recovering. Now that I’m back on my feet and getting plugged in back to work, I’m left to wonder, what happened to accomplishing some of these plans and goals? Where did the time or should I say the ambition go? I have to be honest and call myself to the carpet on this, but I am really struggling with getting things completed. I find myself being overly cautious and measured in how I am attacking my business workload and plans. I know being cautious and measured when it comes to walking is part of the recovery process however I don’t need to let this sneak in and interfere with my mindset when it comes to work, goals and moving forward with the other parts of my life. It seems that when I can run, my thoughts, my attitude is to be aggressive and in attack mode. I have been known to be a “Go-Getter” and it’s hard to be one when it seems like I am stuck in slow motion. I know that I have to be cautious with this injury and recovery process, however I need to I have to stay positive, optimistic and faithful and continue to grow from this injury and believe that I am going through this for a higher reason and purpose. The time will come when I will be back to running and doing many of the things that I was doing before and today, I have to literally take things one cautious step at a time. This week has been a character building week for me I must say. Even though I am off of crutches, out of the walking boot and back in 2 shoes, it seems like my pace and mood has slowed down. I am in the routine of exercising daily and going to therapy 3 days a week and right now I am in a battle to stay positive and optimistic about everything. I am walking with no pain in my ankle and foot area however I am noticing that I am walking with measured steps. When I am walking and not thinking about the injury, I tend to walk smoother than when I am thinking about my leg and taking my time. I am also sleeping later in the morning that normal. I heard this injury takes alot out of you in more ways than physical because of the length of healing and recovery time as well as taking you away from your normal day to day activities. For people that know me, they know that I walk fast and can get pretty animated in my day to day activities. Walking and moving in a measured slow pace is part of the healing process however for this measured slow pace to move up to my mindset, this is something that must be dealt with. It seems that everything is moving in slow motion and I’m just not used to this; and my friends are not used to it either. I received several phone calls last week from friends and they all asked me was I, because they didn’t hear the excitement in my voice like usual. I responded yes, everything is fine and that I am just taking things one day at a time and will be back up to full speed sometime soon. You hear so many horror stories of re-ruptures and sometimes this can cause a sort of foot on the gas and brake at the same time mindset. The main thing I have to remember is to stay positive and optimistic, continue with training and therapy and not rush trying to get back to running and moving fast all too soon. I look forward to all of your encouraging comments and experiences and wish you well on your own healing. Well, there is not much new to report this week, just taking things step by step with recovering from this Achilles tendon rupture. I am glad to be out of this walking boot however I must say that my doctor was absolutely on point on what he said to me after he g ave me the ok to ditch the boot. He told me to be careful with being in shoes because the one thing that the boot did was protect me from myself,lol. Sometimes while I am walking about with my 2 year daughter and she decides to take off running, I want to chase after her and right now, I am in no position to take off fast and chase her. When I am walking with a group of people, instead of walking as normal as I can, I find myself trying to keep up and not wanting to slow the group down and I got to keep in mind that I am not 100% and the people know this and there is no shame in slowing anyone down. The other day my cell phone was charging in the other room and then a call came in. I started to walk fast to get it before the caller hung up however I had to remember that I am still recovering and I can always call them back. These examples are just a few that occurs on a daily basis and my doctor statement really hits home when it comes to these experiences. I am so very glad to be out of the boot however I must say that it will take some time to be comfortable in my everyday walking sessions. So please take it from me and my doctor, it’s good to be out of the boot however the boot did serve as a valuable protection resource for our injury and our personal safety. Be Careful and Stay Positive! Finally, Two Shoes and it Feels Great! If you have ever suffered any type of foot, ankle or in most of our cases, an ATR, then you know exactly what I mean when I write about marbles. 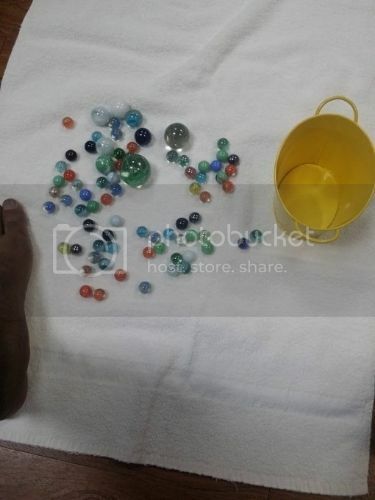 You sit in a chair and you have marbles on the floor for you to pick up with your toes and place each marble in a bowl or bucket. This simple exercise activity with marbles is a vital exercise to aid in our Achilles Tendon Recovery. I remember watching this exercise on the Kobe Bryant documentary showing his comeback from an ATR and I remember thinking that this will be an easy exercise. However, now that I am fully into my therapy, I now see how difficult it was at first and now I am getting stronger and stronger with my toes and foot. It seems like yesterday when the therapist laid out about 15 marbles for me to pick up with my toes and how difficult it was to do this. I mean my entire left leg was aching and tired later on and I just couldn’t believe that all of this came from a simple exercise with toes and marbles could do this. Now we are up to about 60 - 70 marbles and to add to the challenge, my therapist now has added some different size marbles as well as a timer to the exercise drill. There is one particular large marble that is almost the size of my foot (well not quite that large) however it does take almost all of my toes to pick it up and this is a workout! It’s great to know that progress is being made in my recovery and I believe the same is happening with all of your recoveries as well. Going to therapy can be sometimes be time-consuming and not fun however keep in mind that what we put in is what we will get back, so let’s go in with a positive mindset and do what we can to make therapy fun and challenging at the same time. 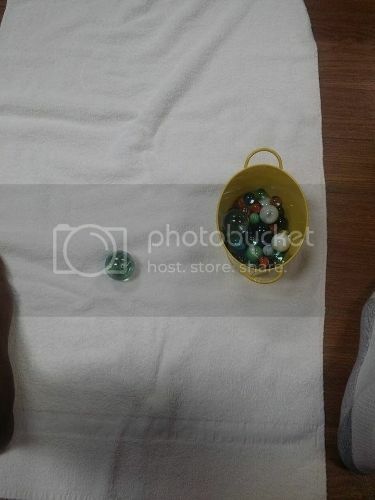 Get those toes to working and pick up those marbles! P.S. Here is a small gift that you can read to assist with your achilles tendon pain. I visited my Parents the other day and heard about my old high school football team (John Tyler H.S.) 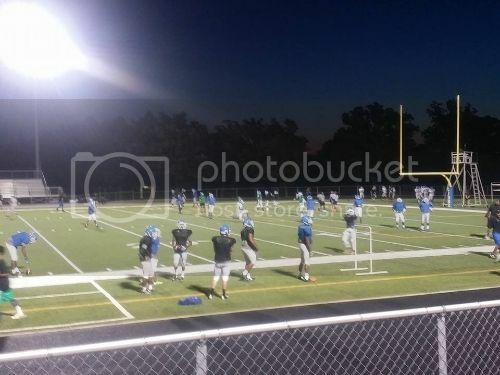 on the field at 5am for practice; Yes, 5am in the morning! Keep in mind, this is Texas High School Football and we are very passionate about our football. There seem to be over 100 players out there going through their drills, coaches hollering instructions and the film guys watching from the stands. There were a lot of activity going on in preparation for the new season and like always, I was glad to see them live and up close. Mannn, of all seasons to be injured in, Why football season? Even though I haven’t played the game in over 20+ years, this time of the year, you can find me working with the wide receivers with their routes, ball catching, etc… and it never fails that as soon as I see a couple of players take it easy on the catch or route running, I usually make my way down on the field to share some knowledge of the game and position. I was blessed to play football in both the Collegiate and Pro ranks and even though I haven’t played the game in over 20+ years, this time of the year, you can find me working with the wide receivers with their routes and ball catching. The thing that bothered me was the fact that, I couldn’t get too excited when a player made a nice catch or run because when I did, those sudden movements caught my injured leg by surprise. I had to sit in the stands and stay calm and this is so hard for me to do. Now the start of the season is here and I think for the next few weeks it will be in my best interest if I stay at home and catch the game on the radio or tv. The great news is that, in a week or so, I may be cleared to start wearing shoes in public and if I do attend a game, I still need to take it easy, watch the game from the stands and not on the sideline. I know that if I am on the sideline, my football career may jump off again and if I see a football in the air coming my way, look out! For all of you football fans, let’s get ready for some football! Take it easy with your injured leg and leave all of the jumping and cheering for the fans that are able to jump. 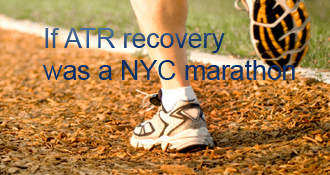 As much as we all want these ATR’s to heal and get back to 100%, it’s just not worth the possibility of a re-rupture. All of My Left Shoes are Ready to Boot the Boot! I’m glad to be off of those crutches now it’s time to hit the next phase and get this boot off. Here I am in Dallas, Texas in the middle of a hot summer season and moving around this heat with the boot makes you wanna holler! I met someone in the store the other day and they mentioned that they had to endure the boot in the middle of a bitter cold winter season in Chicago of all places and their toes was almost frostbitten, so I guess I can say that it could be worse. Well as you see, I can easily keep going on and on about the terrible, terrible things that we have to endure with this injury however that’s really not my style. I have a few more weeks to endure the boot so there is no sense in complaining, just take this part of the process all in stride with a smile on my face one day, one step at a time to a full and complete healing. Just to think that there was a time when my leg was in a cast and I couldn’t wait to get to the boot stage; funny how time flies when you are having fun! Well, let me go to my closet and start digging out all of my left shoes because in due time they give the boot the boot and be back on my left foot. And to celebrate that accomplishment, I will probably write about how the left shoe feels funny or something,lol. In the meantime, keep giving your 100% in therapy, continue reading my blog and all of the other valuable content out here regarding the ATR recovery and stay positive my friends! Hi all I’m only at week 9 and have just got out of my trusty boot so am feeling very scared to walk faster than a striking slug. I agree with pjackson about having to protect yourself from yourself as my cat was being sick and I almost jumped to her aid but putting my foot down I realised I couldn’t do anything to help her lol. I also have now learned to leave the ringing phone. It is really hard though!! I am right there with you! Start week 10 tomorrow, no surgery. I was happy and surprised how well I am walking in two shoes this week. Still, I find myself disheartened about how far I have to go! Seven more weeks of PT, extreme cautious when walking out of the house, great difficulty walking down stairs, etc… I have to force myself to remember how far I have come, and read success stories on the blog. I feel like the world has passed me by- I have missed most of the summer and now most of the fall! I was super paranoid about lengthening, and now rerupturing! I have chosen to wear shoes out of the house (many people here wear the boot out of the house longer), but it is a risk. PT says I’m ready, but it is still scary. I take a cane out of the house. We’ll get there, right?!? I am 17 weeks post op and 5 weeks out of my boot. It’s liberating but scary! I felt I turned a corner around 15 weeks. I felt like the tendon was a little less stiff and I tried to encourage myself to walk heel to toe before it became tired. I was so slow I almost went backwards! My PT has really helped and whilst I still walk with s bit of a limp I feel much more confident. I am still very careful about where I step and going down stairs is slow but I can feel the gain every day. It’s a slow process but I feel like I am starting to get there, it’s an incremental recovery and I have tried to focus on what the next step would be rather than look too far ahead, particularly at the start. I just keep looking at my alpine hiking photos and I am determined to get back there in the future. Good luck guys, full recovery to us all. Well said my friend. I am in the same position. Glad to be out of boot but full recovery will be quite some time. I am in therapy and doing well but you are right, not ready to pick up the pace. After a trip to the grocery store my foot is tired. Also trying to get out of the the limp too. Best of luck to you. I’m right with you… I hope to never, ever need to wear that boot again! Congrats, all the best with the rehab! Congratulations! I am closing in on two shoes but had a scare which ended up being scar tissue breaking away. I will begin to get out of the boot again. Best of luck to and yes I thank the Lord for my recovery as well. Congrats on your progress. It is such a good feeling. It looks like we are both 8 weeks post-op. Definitely interested in your recovery and blog. Check mines out when you have a chance. It’s the little things that count. Keep up the good recovery! Sorry to hear your doc is holding you back, but he has your long-term health in mind (mine waited until week 8, too). With two more weeks of healing and resuming PT, your progress will really take off. It is not uncommon to feel fine while doing a new movement only to find pain/swelling/or just general discomfort later. It is also common to hear the cliche’ “listen to your body”. I found that the body is not always a good key in discerning when to stop. The key is incremental rehabilitation and a good therapist will understand this. What that means is trying a new movement a few times and no more even if you feel like you can do more and then waiting a few days to see how the body responds. If it responds well you can do the original set/reps and INCREMENTALLY add more over time. Always give the body time before adding sets and reps. The PT will know the exercises to do and the reps/sets to start with. Wow…I started PT at 12 weeks and went about 3 times and quit. To me it felt like they were just showing me what I had already been doing and learning from others on youtube and here. I am now at 24 weeks and I feel great. Thank you Jesus! I followed the functional non op protocol I found on this site and also Brady Browne’s non op rehab on youtube. Those 2 sources were my bread and butter. OS didn’t do much for me and PT really didn’t do much for me personally. You’re right, this is a long journey so waiting a couple weeks here and there are very minute in the long run. In times like these we get a chance to focus on life up close (FAMILY). Babies grow up while we are running! You may find some lost things around the house! I too am recovering from hip replacement and must stay near home four to six weeks. God help me as well focus and find some of those lost things around the house! God bless us with your healing so we can run the race you set before us! When I first went into the boot, the OS’s assistant told me to get my heel to touch the bottom of the boot with no wedges and I said I couldn’t do it. They never gave me wedges so I went to a shoe store and bought 4 gel heel pads and they worked for me. I was able to angle my foot to where there was no stress on the tendon and then I was able to remove them at my own pace by listening to my body. I agree with “oscillot”. From your photo, I can see that I was originally given the exact same boot. After only a few hours, I knew I would not be able to tolerate it, and immediately called the Vacocast people who shipped my the Pro Achilles. It came the next day and I have had it on ever since with few problems. The Even-Up was absolutely necessary for the non-injured foot, as I was having knee and hip pain without it. 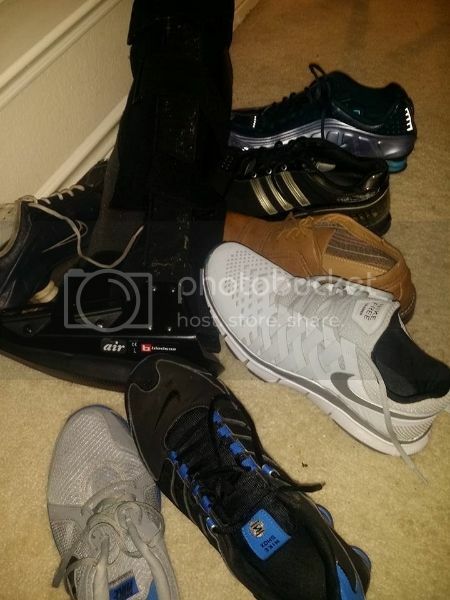 I am now approaching 12 weeks after surgery, and the doctor said I can now move from the boot to shoes. Too bad you got a crappy nurse. AJ, I am majorly concerned if you are wearing the boot at neutral as pictured. The typical post-op degree is 30 degs to start, gradually going to neutral over ~1-2 months. Better to heal with your tendon too short than too long. I started with that same boot. After the second sleepless night, got the much more comfortable Vaco cast and it was the best $300 I’ve ever spent. You can swim in it, and it’s much easier to keep clean because of the removable liners. That night splint isn’t great, either. The point is to keep your toes down, not up. AJ - what exactly “hurt” about getting in to the boot? Did you go from a plantarflexion splint right to the boot, like I did? I just put my heel into the boot and strapped it on - no muss, no fuss, no pain. I was relieved to get my foot out of that radical toes down position. I guess this just points out, as others have, the individual differences in our experiences. Hope you are used to the boot by now. Good luck. Action, welcome to the club. I never had any problem with the initial transition to the boot but I had other problems that would probably make your “nightmare” seem like dreaming about a beautiful girl. The problem with Achilles tendon recovery is that it is multi staged and within these stages are almost countless levels of healing. If you have 10 Achilles patients you will have 11 different recoveries. Everyone will have difficulties of varying natures. The common thread will be that it seems to take forever to heal. I am somewhere between 14 and 15 weeks. It is getting better but it seems to be like two steps forward and one step back. We all say that we won’t rush it or be in a hurry. I said the same thing but I lied. I want to get back to normal but the nature of this injury is that it tempts you to do things that may have been normal once but not in the best of our interest now. Other people will have different stories about their recoveries some good and some bad all different. Your recovery will be uniquely your own. Those who have hinged boots are fortunate to be able to put a bit more angle on the boot and less tension on the tendon. A bit of a stretch maybe to get your heel all the way down. I do hope you have some heel wedges in that thing as it could be a bit soon to go all the way to neutral and understand why that would hurt. Many here including myself have felt some discomfort when changing the angle of the foot but not pain this bad. Those who have experienced real pain have had their foot forced too far. It should be settled in a day or so but if not see or speak to your doc. Ouch! It didn’t hurt that much when I get on mine the first time around, not even the second I guess. Did you get a heel lift with the boot? Just curious. Keep up the healing! Well said. I kind of just laughed and accepted my injury right off the bat and embraced the challenge as well. I’ve worked 5 days as a contractor, coached high school basketball, and DJ’ed 3 nights a week for the past 9 years… Having some time to just relax and enjoy my family and just relax has been a Godsend. Now if I were walking a little, that would be ideal, but hey, we gotta embrace the challenge at hand and thrive! michael67, thanks for your comments and Wow!!! 2 ATR’s… this is one more than I hope to ever have however I will keep you updated and please send any encouraging words and tips along the way. thanks for your comments and these are just a few books that I need to complete or re-read. Yes, there is always a silver lining in every situation and let’s all allow this injury to make us better. Yipee! I’m excited that there is someone else out there who is taking our ATR, and making it positive. I too, felt that someone was telling me to step back and reflect. I like how you state, “get better in other areas of my life.” That’s my plan too. Let’s do this!! Action, thank you for sharing. I am one of the few that underwent both options. This March I had Achilles repair surgery on my left side and about 20 years ago I ruptured the Achilles on my right and went into a cast for 8 weeks without surgery. My right side is permanently weaker. It bothered me only once when I hit the brakes on my car hard and felt like it was about to pop again. Since then it hasn’t bothered me except it dosen’t feel real strong but it hasn’t held me back. Hindsight is 20/20 but there are no absolute gurantees when it comes to major surgical procedures. Good luck in your recovery and keep us posted on your progress. I went the non op route and currently at 20 weeks post injury. My recovery has been relatively smooth to this point and I am happy with my decision to give it a try without surgery. I prayed about it and was at peace with my decision and that’s how I know I made the correct choice. I can jog and if I wanted to, I am sure I could go shoot hoops right now, but I wont be doing that I just feel extremely blessed to be where I am at on my road to recovery. 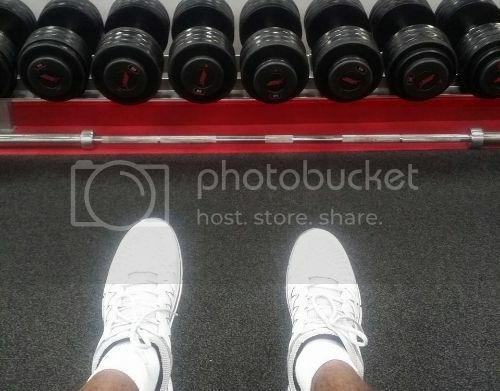 I am an active 41 year old who works out 4 times a week and I feel I will be back to where I was pre-injury except I will be more aware of what I can and cant do anymore. Good luck on your road and there are some very knowledgeable people on this site who are very helpful. Looks like a partial tear. If this is true consider yourself very lucky. See what the orthopod recommends. I use a night splint (starting in week 5) but I took out the toe wedge, lengthened the side straps, and put two heel wedges in. In the end it was slightly more plantar flexed than the boot and I slept much better. Now that I am down to 0 degrees in the boot and starting 2 shoes I have one heel wedge. I agree they come out of the package way too dorsiflexed for anyone until they are at 0 degrees or beyond in the boot. Many who have posted in this blog have found that they can do without the boot at bedtime from about the 4 weeks mark. For piece of mind I put a cushion between me my partner. Just keep your boot close by in case you need to leave the bedroom during the night. Very careful with those plantar fascitis night splints, they are not designed to treat post-ATR patients and they can have a very detrimental effect by lengthening and extending the AT during post-operative recovery. They actually dorsiflex the foot, when the recovery position is plantarflexion. 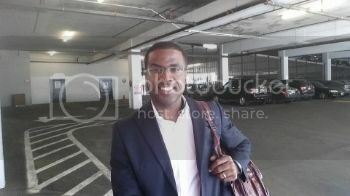 Action Jackson’s Achilles Blog is proudly powered by WordPress and WPDesigner..